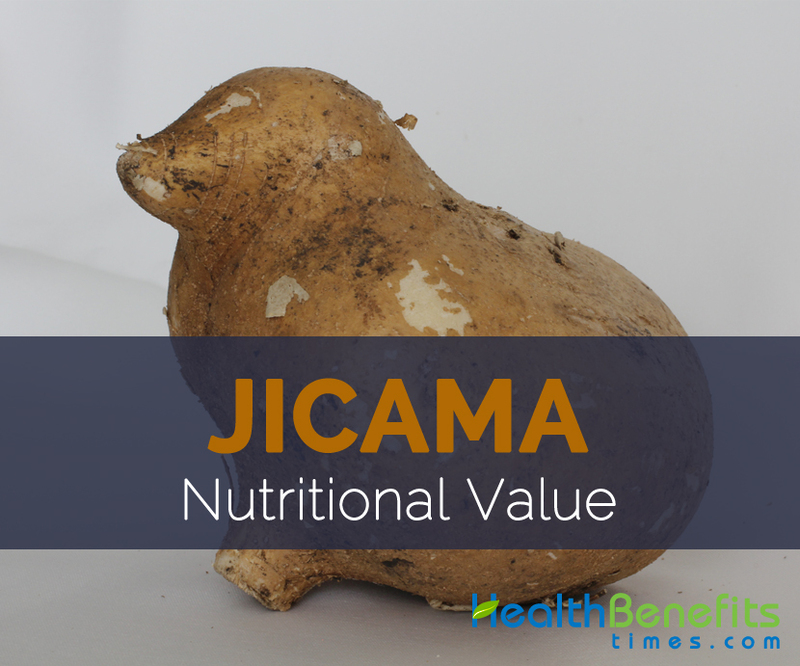 Jicama is a very versatile vegetable that contains essential Nutrients, vitamins and Minerals. Consuming 100 gram of Jicama offers 14.1 mg of Vitamin C (Ascorbic acid), 4.9 g of Total dietary fiber, 8.82 g of carbohydrate, 0.046 mg of Copper, 0.04 mg of Vitamin B6 and 0.46 mg of Vitamin E. Moreover many Amino acids like 0.019 g of Histidine, 0.022 g of Valine, 0.018 g of Threonine, 0.016 g of Isoleucine and 0.026 g of Lysine are also found in 100 gram of the fruit. Calories 38 Kcal. Calories from Fat 0.81 Kcal.